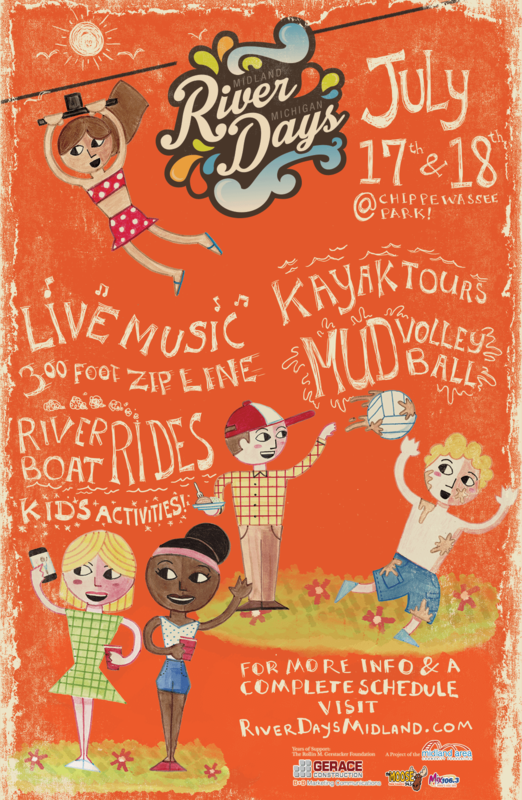 In our digital age, RiverDays is a throwback to old-fashioned fun that might leave you dog tired, covered in mud, and full of new memories. First celebrated in the early 1900s, today the festival is hosted by the Midland Area Community Foundation. They updated the logo in 2015 and tasked us with designing an event poster that captured the event’s unique ethos. So we went back to our roots. Building off the new logo’s retro vibe, we combined custom illustration and hand-drawn type to create a nostalgic aesthetic. 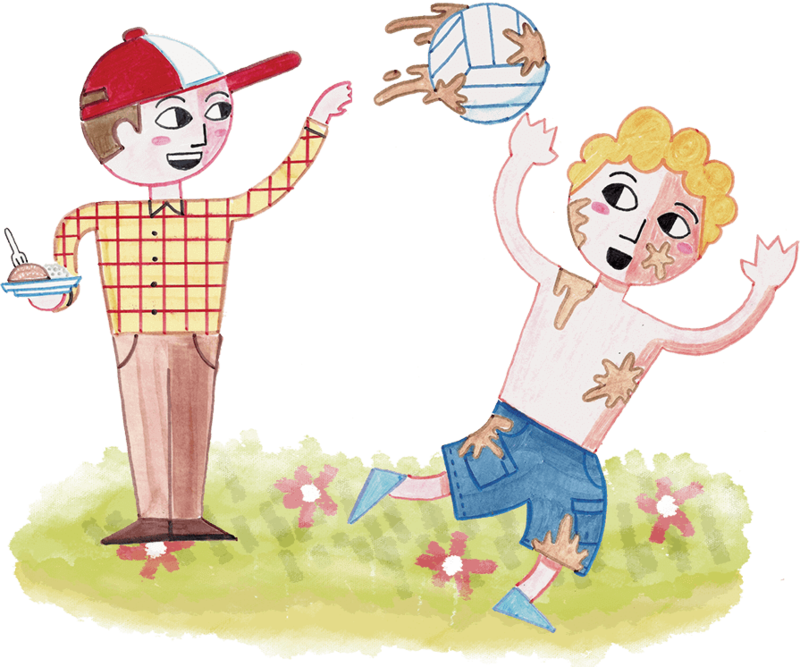 RiverDays features pretty much everything, including food vendors, mud volleyball, kayak tours, a zipline, live music, a rock climbing wall, riverboat rides, fireworks, and a petting zoo. But the feeling of the festival is more important than any of its individual activities. Rather than list the entire itinerary, we highlighted a handful of activities then directed them to the website for more details. Bright, cheerful, loose and fun! A perfect fit for the subject matter. This bright poster stood out from across the room. Isn’t that what a poster is supposed to do? Really great use of playful illustration and illustrated font. Makes me want to get down to the river and play some mud volleyball! Special thanks to the designer for creating this wonderful piece. on why he awarded this poster his “Judge’s Choice” award at the 2017 ADDY Awards. You won’t find any stock photos or Photoshop filters in this poster. Just like RiverDays hearkens to our past, the poster is a throwback to the old style of print design. You don’t need fancy equipment to create great work; sometimes it just takes a sheet of paper, a handful of markers, and a bit of imagination.